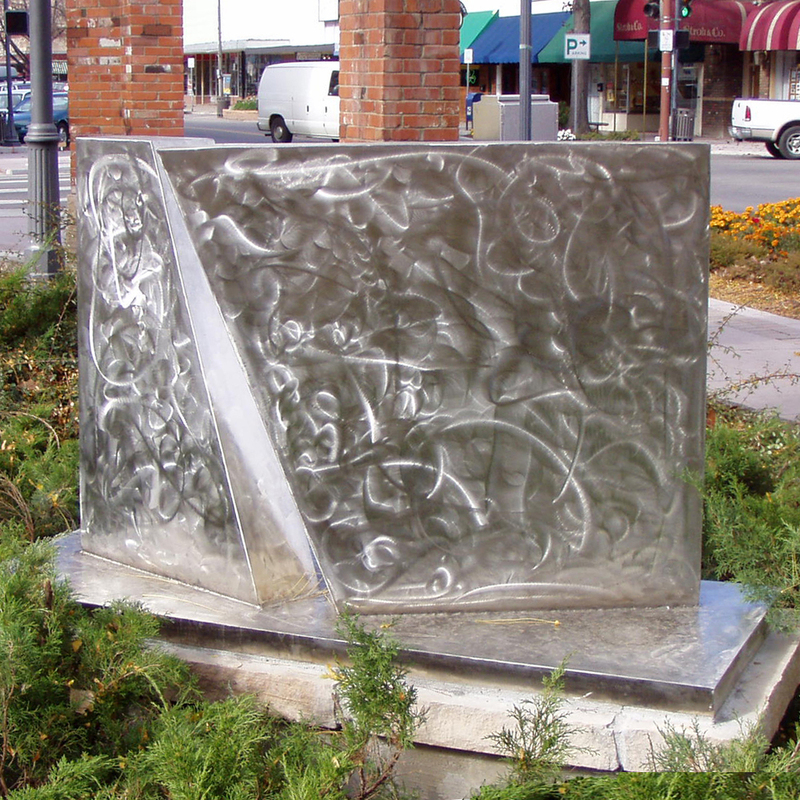 Installed at Big Thompson Park in Loveland Colorado by the Loveland Art Museum, “Separation” speaks to the dichotomy of the struggle between the internal and external. 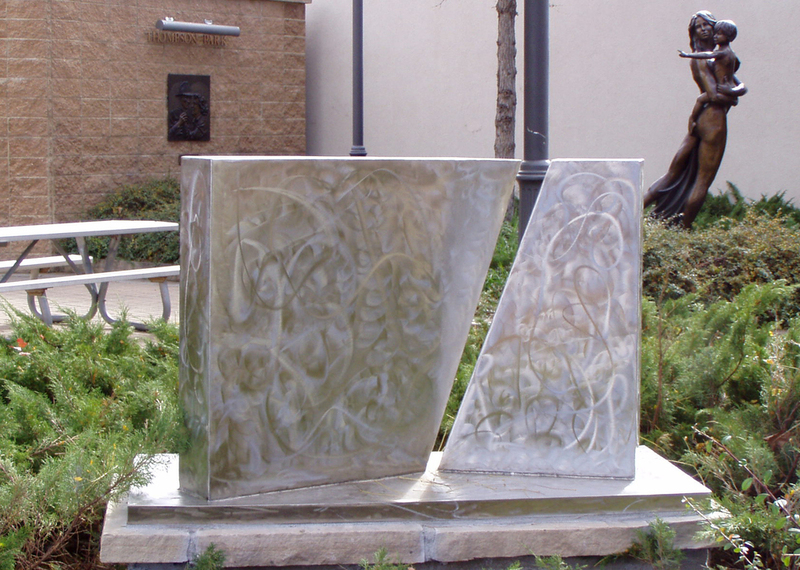 Using stainless steel only verses two materials as I often do, this work focuses on the idea of common ground and unity as the pieces appear to be cut from the same source. As with many of my works, the angel at which the work is seen reveals varies perspectives allowing for multiple interpretations. The slightest divergences of a potentially unified plane allows for a delicate shift to breath with the use of negative space for the bifurcation. 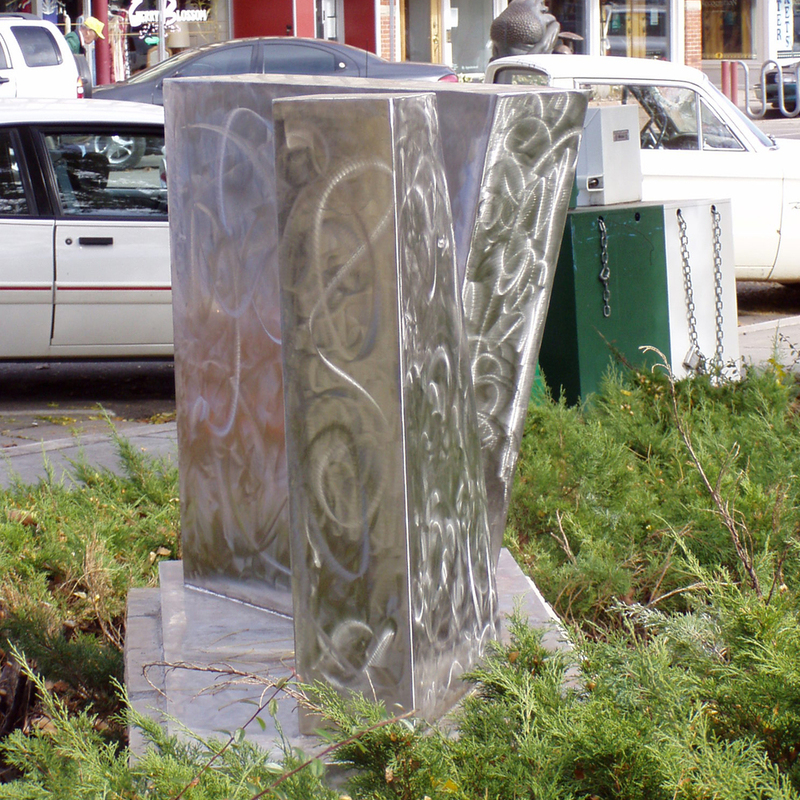 This tension intentionally pulls the weight of the material together while the finished surface of the steel alludes to a lighter magical potential to emerge from this split massive plane. Many special thanks to Susan P. Ison, Director of Cultural Services, for the installation of this work.